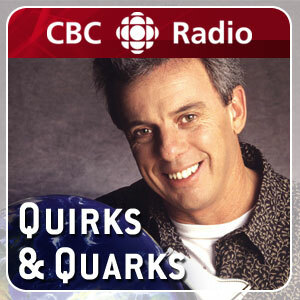 I was on CBC Radio One's science program Quirks & Quarks today. Missed it? So did I! But the MP3 podcast is already available right here. The bit with me -- on whether the end of our world might come at the hands of aliens -- starts at 22 minutes 50 seconds and goes for about three minutes. Pictured: Bob McDonald, the host of Quirks & Quarks. LianneB, that's correct -- and I'm at the very end of that segment (that is, in the counting down from ten, my bit is #1). Shakespeare and Sulu to Flash Forward?